Widescreen. Note: The running time on this is approximately 2 hours and 30 minutes, which is the longest cut of this film currently available. An epic and unusual anti-war drama about WWII, writer-director Carl Foreman's heavily ironic saga is loosely based on the novel The Human Kind by Alexander Baron. It follows the adventures of an American infantry platoon based in Sicily that participates in the invasion of France, marches into Germany, and remains there for the Allied post-war occupation. Interspersed during the nearly three-hour film are vignettes of newsreel scenes from the home front, which are contrasted with disturbing incidents from the war. The plot is highly episodic, with characters coming and going. 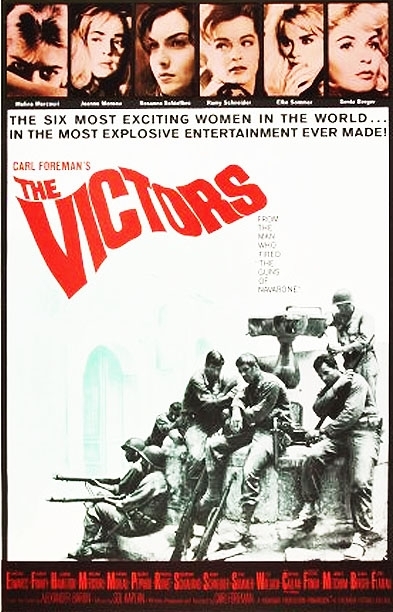 Originally released at 175 minutes, the picture was withdrawn from distribution and edited down to 156 minutes to place greater emphasis on onscreen action. A gritty no-holds-barred view of the final stages of WW2. Told in vignettes, some are shocking and some wil leave you thinking about the futility of it all.